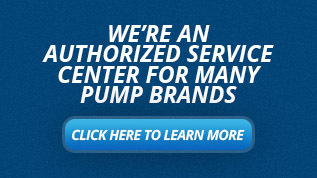 Let us help you size a Dean pump in Wisconsin today! Dean Pump is recognized worldwide for high quality metallic pumps that handle a broad range of chemical process and industrial applications. They are particularly recognized for their ability to move high temperature liquids – hot oil/hot water – up to 850° F. These pumps are manufactured in a variety of metals to handle a broad range of high temperature and chemical process applications. 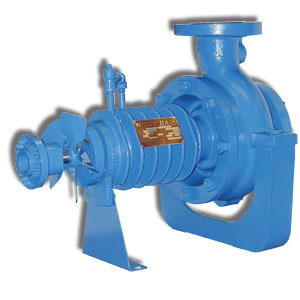 Major products and solutions include: chemical process pumps (horizontal ANSI, magnetic-drive, self-priming, and vertical), vertical inline pumps, water pumps, air-cooled high temperature pumps, and heavy-duty process pumps. 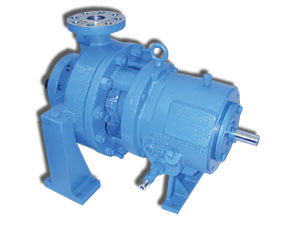 The RA Series Pumps are cost effective, hot oil, thermal liquid, heat transfer pumps that feature a shaft mounted fan to provide air flow over the cooling fins of the pump. This air cooled design translates to no water cooling required for the bearings and mechanical seals. The RA series is designed to be ANSI interchangeable with three offerings RA2096, RA3146 and RA3186. Thirteen sizes are available in ductile iron construction. DeanLine Series Industrial Inline Pumps are excellent for process plant pump applications for capacities and heads less than traditional ANSI pumps. This space saving design is ideal for tight floor layouts or piping configerations. 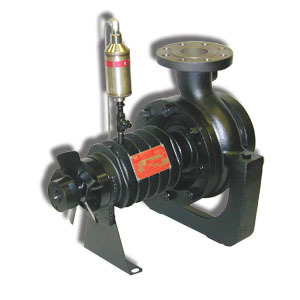 Two pump sizes are available in cast iron and stainless steel construction. 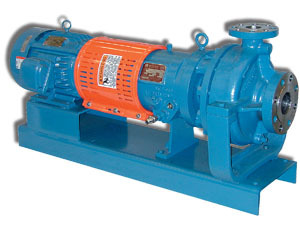 The pH series chemical process pumps are built to ASME/ANSI B73.1 dimensions. Twenty-eight sizes are available in ductile iron, stainless steel, CD4MCu and Alloy 20 construction. Additional higher metal alloys (Hastelloy B or C, titanium, etc.) are available upon request. Additional features of the pH Series chemical pumps include: integral one-piece casing flanges, fully open impeller, heavy duty shaft / bearings and a rigid bearing housing. Models available include pH2110, pH2140, pH2170/pH3170 and pH2180 series. Other configurations include pHP (Self-priming process pump), pHV (vertical sump pump) and M300 (magnetic drive ANSI chemical pump). The R4000 Series Pumps are the single most applied pump for high temperature heat transfer service. These heavy duty, centerline supported, chemical, petrochemical, and refinery style process pumps are available in twenty-seven sizes in steel and stainless steel construction. Two stand out features are a closed impeller and heavy duty shaft / bearings that allow this pump to be the most applied pump for high temperature service. 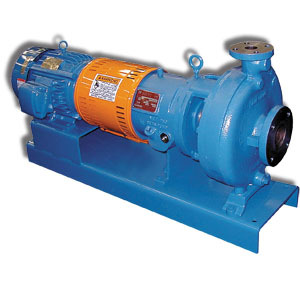 The R5000 Series Pumps are chemical, petrochemical, and refinery API type high temperature process pumps. Twenty-seven sizes are available in steel and stainless steel construction. Stand out features for this pump include centerline supported casing and large taper bore seal cavity that allows for extended life in critical service. The Series FW1200 Water Pump is the highest quality and most cost effective vertical or horizontal configured pumping equipment designed specifically for commercial and/or recreational water applications. Two sizes are available in ductile iron construction (bronze impeller). 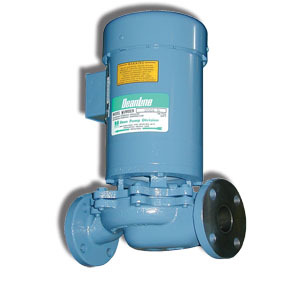 The FW Water pumps are certified to NSF/ANSI Standard 50.